Drake is a Grammy Award-winning, Canadian hip hop star. He is also known for his relationships with high-profile woman such as Rihanna, Serena Williams and Jennifer Lopez. Who is Drake, how old is he, when is his birthday, how tall is he and what is his background? 32-year-old Aubrey ‘Drake’ Graham was born on the October 24, 1986, and is 1.83 metres tall. He was born in Toronto, Canada. His father, Dennis, is African American and a drummer from Tennessee who played with country music star Jerry Lee Lewis. His mother Sandi Graham is Canadian and Jewish and was an English teacher. As a result of his mother’s faith, he went to a Jewish school and celebrated his Bar Mitzvah. His parents divorced when he was five and his father returned to Memphis while he and his mother remained in Toronto. When he was 15, Drake started acting in the Canadian television series Degrassi: The Next Generation. He appeared in 145 episodes of the hit program but left in 2007 to work on his dream of becoming a rapper. After hearing some of the budding singer’s mix tapes, Lil Wayne invited Drake to join his Carter III tour. In 2009 Drake was signed to Young Money Entertainment, the record label founded by Lil Wayne. Why is Drake famous and what is his occupation? Drake is a hip-hop artist and record producer. More recently he has become a successful entrepreneur, starting his own record label, creating a brand of bourbon and releasing a range of clothing. His net worth is estimated to be between $90million and $130million. How much does Drake earn? In 2014 and 2015, the rapper was earning just under $10million a year. This increased to a massive $90million is 2016, largely due to the income generated by his Summer Sixteen tour. How much does Drake weigh? The American star weighs 172 pounds or 78kg. He has houses in Los Angeles and Toronto. What is Drake’s real name? His full name is Aubrey Drake Graham, and sometimes goes by the nickname of Drizzy. 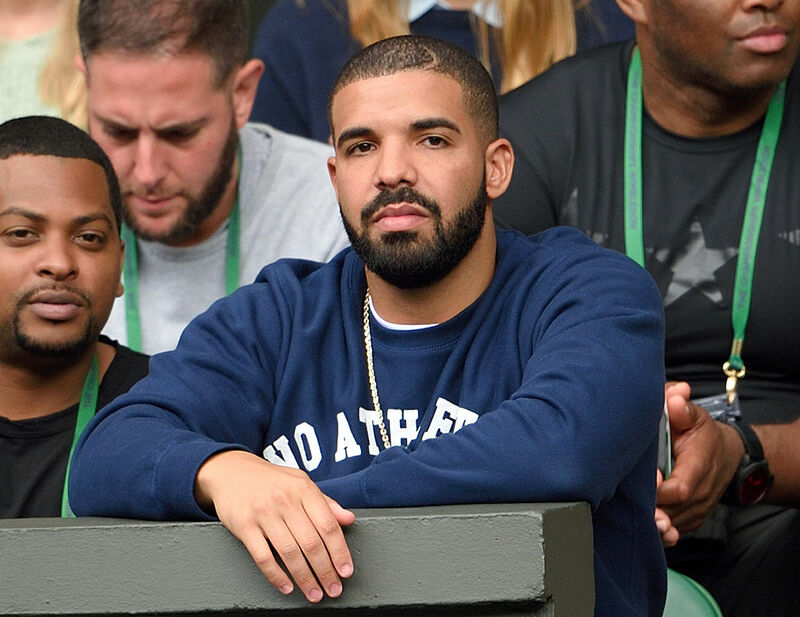 Who is Drake dating, who has he dated in the past and why did they break up? The Hotline Bling hitmaker has been romantically linked to over 25 high-profile stars. He is rumoured to have had long-term relationships with R&B singer Rihanna and with tennis superstar Serena Williams. He has also been linked to Bella Hadid, Rita Ora, Tyra Banks and Jennifer Lopez. His alleged infidelity is often cited as the reason for his relationships ending. Are Rihanna and Drake together, did they date, when did they date, how long were they together for, why did they split up? Rihanna and the star reportedly had an on-and-off relationship from 2009 until 2016. They both had relationships with other people during this time, perhaps most notably when Rihanna returned to Chris Brown in 2012 and 2013. Drake and Rihanna managed to sort out their differences and at 2016 MTV VMAs he declared he had been in love with her since he was 22, but by October 2016 the couple had split up permanently. They claim this was due to the hectic demands of their careers. What happened between Drake and Chris Brown? Chris Brown was charged in March 2009 with domestic violence offences relating to Rihanna. When rumours circulated in mid-2012 that he and Rihanna were getting back together, tensions grew between him and Chris Brown. This allegedly escalated in June 2012 when Drake and his entourage threw bottles at Brown in a nightclub in New York City. What are his biggest songs and albums, how many number ones has he had, what are they, what was the first song he released? The talented star has released four albums: So Far Gone in 2009, Thank Me Later in 2010, Nothing Was the Same in 2013 and Views in 2016. All of these albums debuted at number one in both the United States and Canada. Views also became a number one selling album in the UK. The track One Dance, released in 2016, became a hit all over the world, peaking at number one in 15 different countries including the UK where it was at the top of the charts for 15 weeks. He also has had a UK number one with his collaboration with Rihanna on What’s My Name. Who has Drake collaborated with? He has successfully collaborated with artists such as Lil Wayne, Rihanna, Nicki Minaj, DJ Khaled, Wizkid and Chris Brown. Drizzy has won over 80 awards, most notably the 2013 Grammy for Best Rap Album for Take Care and in 2017 the single Hotline Bling won 2 Grammys. In 2017 he also dominated the Billboard awards, winning Best Artist, Best Song, Top Rap Artist and Top Rap Album. Who is Drake signed to? He is signed to his own record label called OVO Sound. It operates as a subsidiary of Warner Music.